Looking for that perfect family photo for your holiday card? We've got you covered! 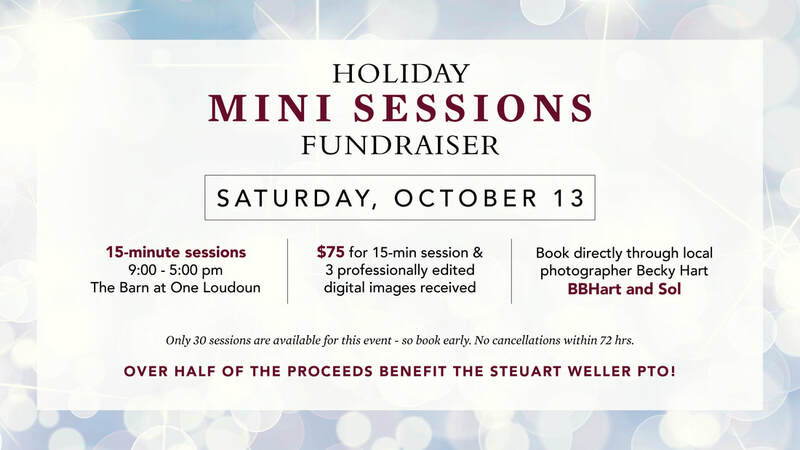 On Saturday October 13, the Weller PTO is partnering with local photographer Becky Hart for mini photo sessions at the beautiful, picturesque Barn at One Loudoun. Limited availability, so book your slot today. Come get a beautiful photo, enjoy the fall weather and support the PTO! This event is rain or shine as we can take shots inside and/or outside the barn. Please read the instructions on the BBHartandSol page prior to booking and remember to only select times on October 13th. Or watch the videos in the comments on Facebook.